Thanks to Mercedes' double failure, Sebastian Vettel left Austria on Sunday with a 1 point lead in the world championship. But as F1's first ever triple header ends in Britain this weekend, Ferrari's Arrivabene is not sure Vettel can keep the lead. 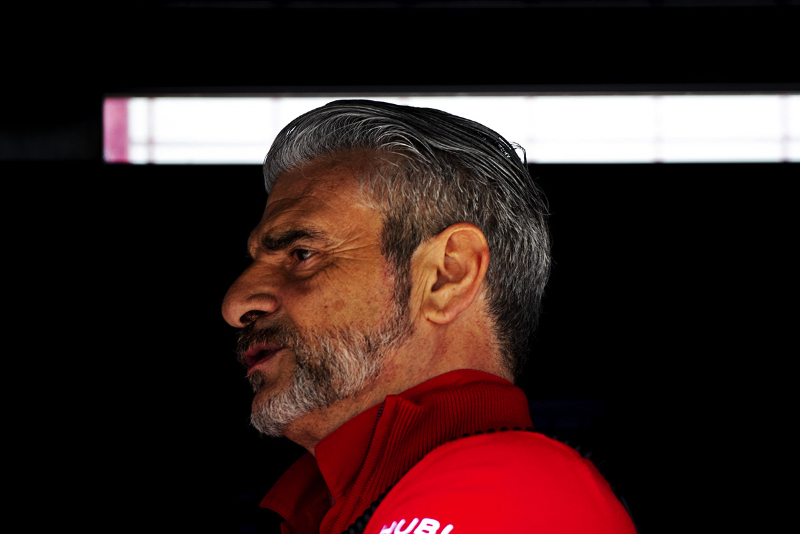 Arrivabene also defended Ferrari's decision not to use 'team orders' in Austria, even though moving Kimi Raikkonen aside would have given Vettel a bigger points lead. "We decided to let Kimi, who is a world champion, drive. They both fought the whole race," he said. Vettel would have preferred to have done better simply by starting higher on the grid, but he was penalised three grid places for blocking Carlos Sainz in qualifying. "Oh, I could talk about it for a long time," the German driver said. "Even Sainz said it was nothing. Ok some complained, but complaining is not motor racing. We should let the drivers sort it out between us." Vettel also said he was happy that Ferrari didn't issue team orders last Sunday. "No, why?" he said when asked if he wanted Raikkonen to move. "Kimi drove as fast as he could and so did I. Without the three lost (grid) places, we could have won," Vettel added.